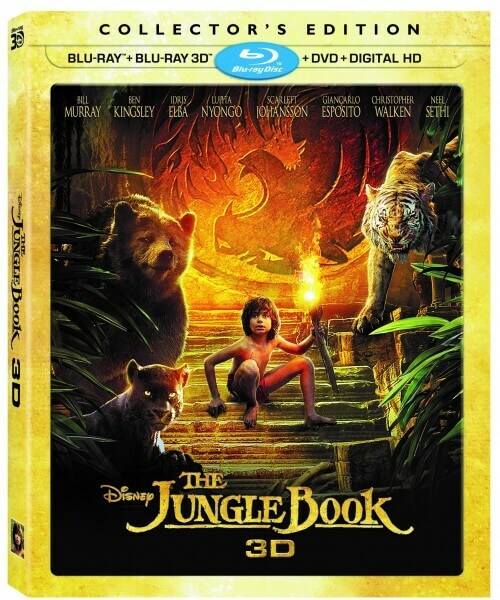 Disney has announced a brand new “The Jungle Book” 3D Collector’s Edition just in time for the holidays! The live-action remake of the beloved animated classic was a hit with both critics and fans alike, and this 3-disc collection is sure to be a hit as well. This new edition contains the original theatrical release on Blu-ray 3D, Blu-ray, Digital HD and DVD, along with originally released bonus features and five never-before-seen extras, housed in collectible packaging. With a lush environment and spectacular effects, “The Jungle Book” is a no-brainer for those who want to fully experience director Jon Favreau’s vision. Plus it’s jam packed with extras! Bring home “The Jungle Book” Collector’s Edition on November 15th. Groovy, baby! ‘Ash vs. Evil Dead’ has been officially renewed for a third season! Yes…Ladies and gentlemen, Disney Blu3D is BACK!! Look for SW:Force Awakens and Zootopia, also available on Disney Blu3D…Roasted crow sold separately. All the info is direct from Disney’s press release. Newer Newer post: VIDEO: First trailer for ‘Marvel’s Iron Fist’ series on Netflix revealed!